With less than 6 weeks to Christmas I am sure you have Christmas presents on your mind. Are you having a hard time deciding what to get for whom this year? 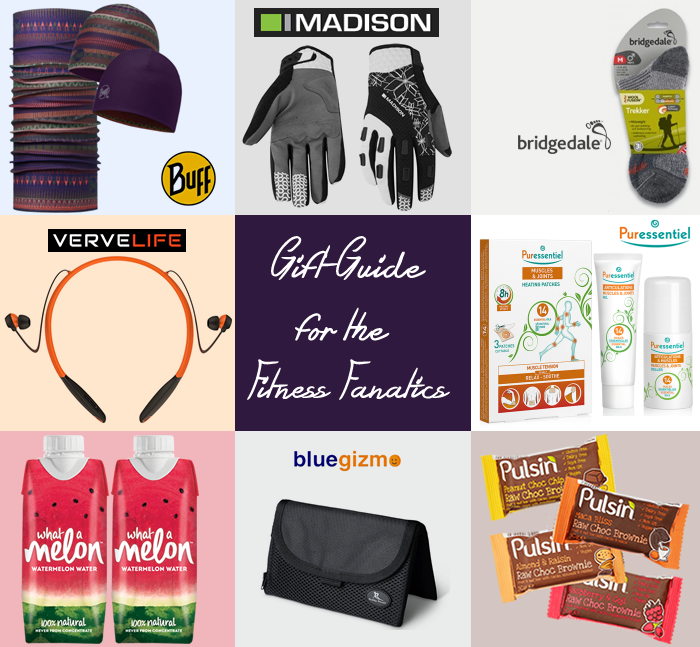 To help you out, here is my first Christmas gift guide and it is aimed at fitness lovers. The items I have selected would make great gifts for those into fitness, running, camping or any other sporting activities. What A Melon - watermelon water- was recently launched in the UK. Packed with health-boosting nutrients it tastes just like the real thing. In addition to its refreshingly natural flavour, What A Melon water comes with a list of added benefits. It contains electrolytes, antioxidant Lycopene, Potassium and Amino acid (Citrulline). Citrulline is known to help in reducing fatigue and improving endurance making it a perfect post-workout drink. What A Melon has no added sugar and no preservatives thus also making it a healthy hydrating drink. You can check out my giveaway for a box of 18 What A Melons here. It is about to end, so be quick. The Buddy Pouch is a new and versatile pouch for all your outdoor and leisure needs. This belt-free pouch comes with two pockets and is made to fit the most popular phones, including the iPhone. The inner pocket is water-resistant and the pouch has a side zip through which one can run their headphone wires. This personal magnetic storage pouch is perfect for someone who is into running, biking or camping. Read more here.